Publisher Bandai Namco have announced a new video game for the Sword Art Online franchise, coinciding with the final episode of the anime adaptation’s first half which aired on the same day. 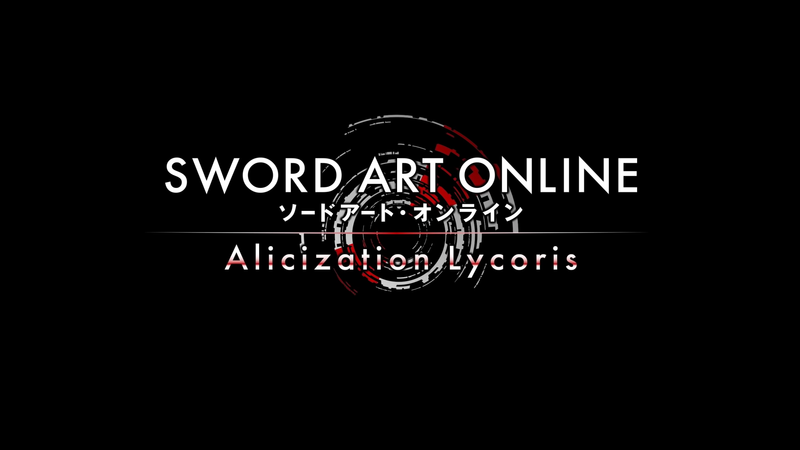 The name of the latest game is Sword Art Online: Alicization Lycoris, and will be based on the events of the Project Alicization arc. Like the anime and novels, the story features Kirito as he ventures into another VRMMORPG, this time on his own without the support of Asuna & his friends, and meets two individuals – Eugeo and Alice. 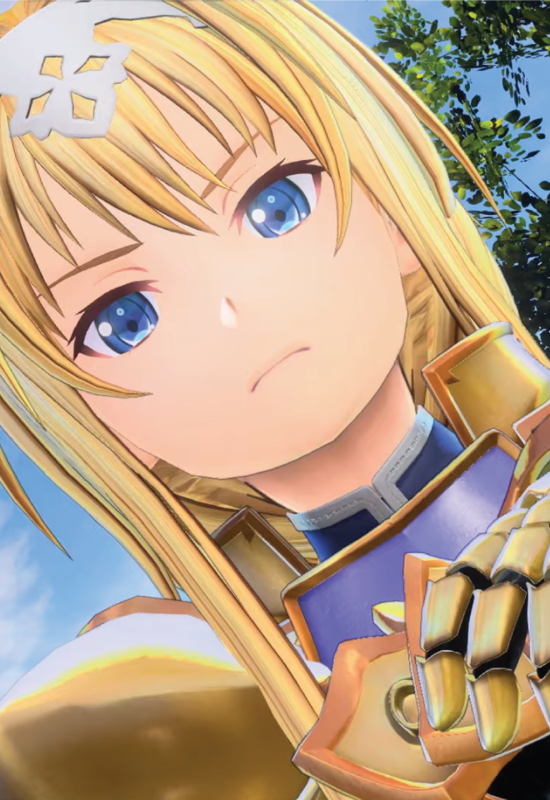 While the previous games in the series have been loosely based on the story arcs they were focusing on, Bandai Namco have stated that Alicization Lycoris will follow the anime and novel’s storyline more closely. UPDATE: Dengeki Online has reported that the game will be adapting the entire arc i.e. volumes 9-18 of the Sword Art Online novel series. 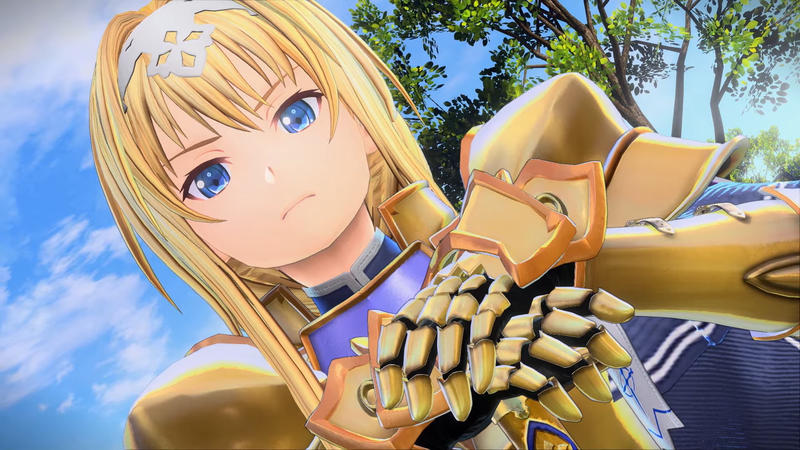 Sword Art Online: Alicization Lycoris is scheduled to be released on PlayStation 4, Xbox One and PC. A release window has yet to be announced but the publisher has confirmed plans for a western release. Play as series protagonist, Kirito, and become immersed in the “Underworld,” a mysterious virtual world set in the anime series’ Alicization arc. Featuring epic battles, stunning JRPG visuals, and an expansive world to explore; Kirito’s journey through the latest Sword Art Online game is ready to begin. Following the events of the Sword Art Online Alicization anime series, Sword Art Online: Alicization Lycoris finds Kirito in a mysterious but familiar virtual world, “Underworld,” where A.I.s behave like humans. As players take control of Kirito, they will relive heart-pounding scenes from the series through intense combat. Players will also encounter fan favorite characters including Eugeo, Alice, Administrator, and many more. A wide world awaits Kirito and his friends in this exciting adaptation to the Sword Art Online Alicization series. Bandai Namco have released a number of Sword Art Online games, most of which have been released in the west. The previous games as mentioned have original stories that are loosely based on the story arcs beforehand. The order of the games so far have been Re:Hollow Fragment (which includes the first game Infinity Moment), Lost Song, Hollow Realization, and Fatal Bullet. A crossover with Accel World was also released in the west. The anime has been adapted by studio A-1 Pictures across three anime seasons, a special and the movie Ordinal Scale (plus a spin-off series Alternative: Gun Gale Online adapted by studio 3Hz). Manga Entertainment have released the first season while Anime Limited have released the second season and movie Ordinal Scale in the UK & Ireland. Anime Limited also have plans to release Alicization & Alternative: Gun Gale Online in the future. Aniplex of America have the rights to the entire anime series for US & Canada. You can watch the anime series over on Crunchyroll and also on Netflix if you live in the UK & Ireland (S1, S2, Movie). If you live in the US & Canada you can also watch it on Funimation. Two world premiere announcements from E3 2018 that will excite fans of both anime and Japanese games! You’re getting not one, but two new anime seasons of Sword Art Online! The long delayed RPG based on the Little Witch Academia anime series will soon be available from Bandai Namco.